In meeting and working with addiction recovery patients over the years I have found that one of the most important aspects of their recovery is having the opportunity to share their story, their life experience. Prescription Drug addiction stories don't often have a happy ending but what ever the ending sharing them is helpful. A former teacher of mine is a psychotherapist, who always talked to us about getting to the "essence of self" when helping people tell those all important Prescription Drug addiction stories. It is the essence of self that drives the person's perceptions and creates meaning in life. Your Prescription Drug addiction stories are important. You are not alone and maybe there is someone who will benefit from you sharing your experience. We encourage you to gather your thoughts and share them with us. Here are a couple of Prescription Drug addiction stories that describe the process of recovery. We’re hoping that you will share your stories with us as well so that others can learn from your experiences. Many people tell us that it helps them to read others Prescription Drug addition stories because they understand what they've gone through a little better. Many times therapy sessions are simply a place where people come and share their Prescription Drug addiction stories. You may find that sharing your Prescription Drug addiction story anonymously is the first step toward dealing with addiction. I am 22 years old and recovering from a very rough 2 year addiction to heroin. I'm not like most addicts, I got addicted hard and quick. He made me smile, laugh, feel again when I'd numbed myself for so long... i wanted to hold onto that feeling of good forever... i called him the day i was released. He was out soon after and he was moving 2 states, I followed him to where he was going to get away from the drugs and addicts i knew... I'm proud to say, we are about to get married and start a family and I've been drug free since! In the 12 Step process, we talk about a power greater than ourselves. I am pleased that you have a friend, a soul mate and that you got out of the drug culture. Rehab is a great thing, but if you go right back to the old haunts and seeing your old user friends, it's easy to relapse. 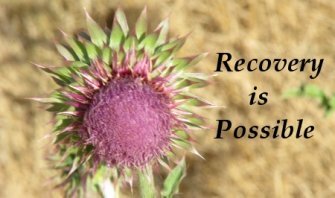 Recovery is about rebuilding a new life and it sounds like you are firmly going down that path. I am addicted to crack and heroin! It all began when i was 15, & like most teens I thought it was cool to do drugs. My first real boyfriend's mom snorted cocaine, even with her son, and that's where I first tried it. I loved the rush, the feeling of increased energy. It only got worse from there, at age 17 things ended with my boyfriend and i moved in with another guy and his parents. We got drunk every night. I found out his parents were huge crack heads. I started buying cocaine from them and not too long after, i was learning how to cook coke into crack. The rush of euphoria and the feelings of greatness when I took a hit were so powerful, i never wanted to stop. I was 17!! smoking crack at 17! Pretty soon i turned 18, and things really got bad. I received a settlement of $6,000, buying bags of coke every night. Not long after that I met a way older guy, 38 years old, who smoked and sold crack. We hit it off, and i would hang out with him because i knew he would always give me crack and get me high. I quit my job, moved out of my house and in with him. Not long after that i started shooting heroin to come down from the nasty side effects crack left. I loved it. I sold my nice stereo for the ten minute crack high, cells phones, even a ps3! Endless fights between me and my boyfriend over his smoking, who gets what hit and just stupid nonsense. It's really taken over my life. To this day i stay from motel to motel with a 38 year old man thinking about how I'm gonna get high. I hate it, i hate every second of it. But when i wanna quit, i keep going. I've almost had strokes from smoking so much. When he gets going, he doesn't quit. I smoke at least 2 eight balls a day. Then when there's no money or nothing left to sell, i hate myself for all the stupid stuff i go through to get high. And here i am away from my boyfriend who's not answering his phone because he's too high to answer. These drugs have taken over my thoughts and what i once called life. Now I'm 18 years old, i ignore all my friends and family just to get high. If i had to stop that would mean cutting out all the drug users in my life. And even more sad, I've smoked crack and shot heroin with my own father. But its nobody's fault but my own, and every time i chose to load the needle or hit the pipe, i know i take the risk of never living a day again. If only i had the power to quit. I really don't think anybody is strong enough to just quit using drugs, not you, not me or anyone else. 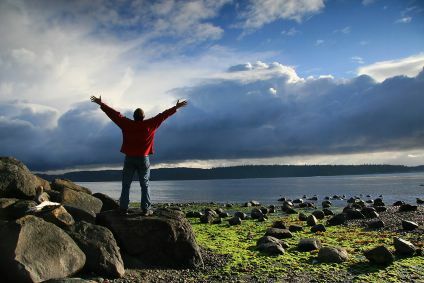 Treatment is the only proper answer to getting clean and getting your young life back on track. Please, I encourage you to seek professional help. That mother who snorted coke with you and her son ought to be horsewhipped. Your boyfriend, who is twice your age and a deadbeat, is no walk in the park and an evil influence on you. You have your whole life in front of you, but you're throwing it away on drugs and a man who uses you. It's a road to nowhere, but there is hope. You can overcome this and with the right kind of professional support and a little love, you can. But you have to get out and away from the deadly drug culture. It only leads to the grave. You need to get into treatment and leave your drug life behind.